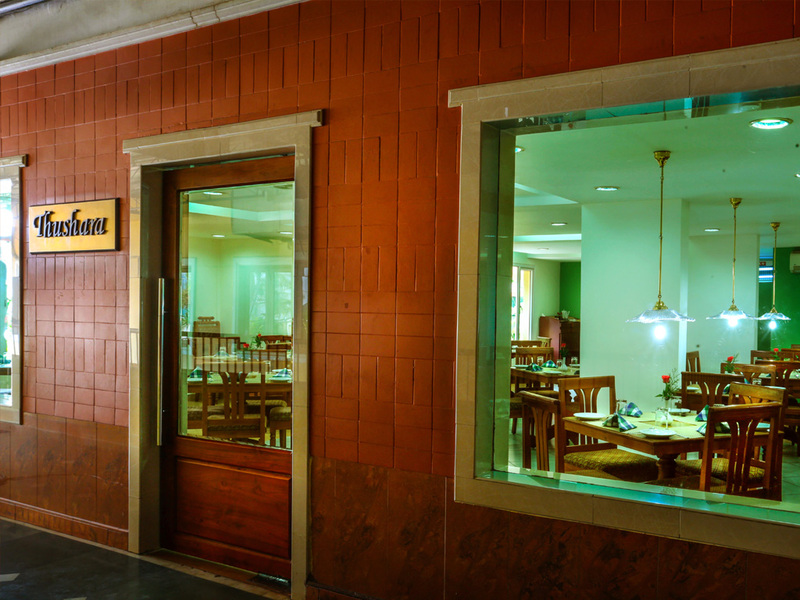 Thushara - The 24 x 7 coffee shop at Krishna Inn is the perfect choice for a quick refreshment of snacks & coffee. The coffee shop has brightly lit interiors, a diverse menu and an inviting, warm, casual ambience which is ideal for a relaxed outing with family & friends. It offers a complete range of South Indian delicacies, ready to eat snacks,hot samosas etc.